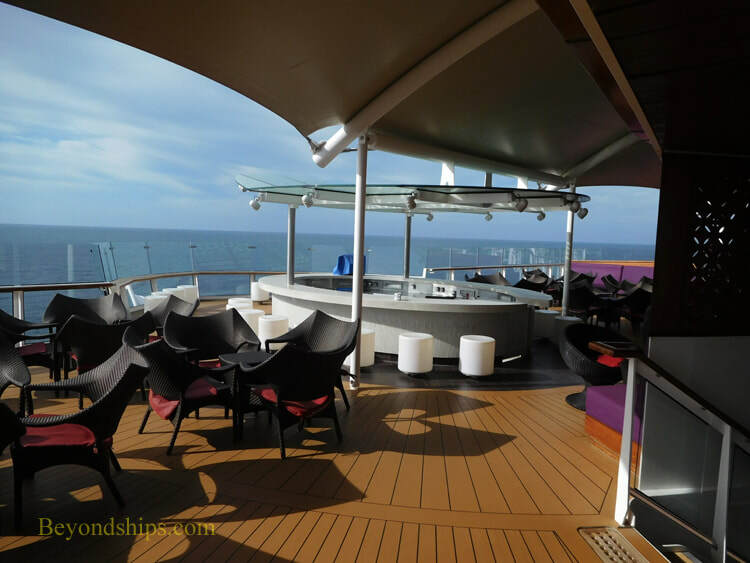 venue with excellent views looking out over the ship's bow and to the starboard side. 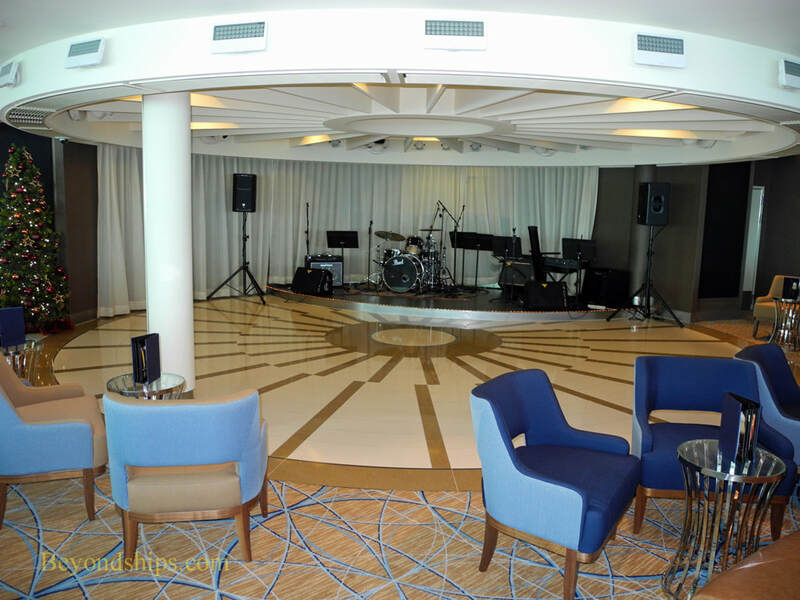 In addition to a bar, has a large dance floor and a bandstand. 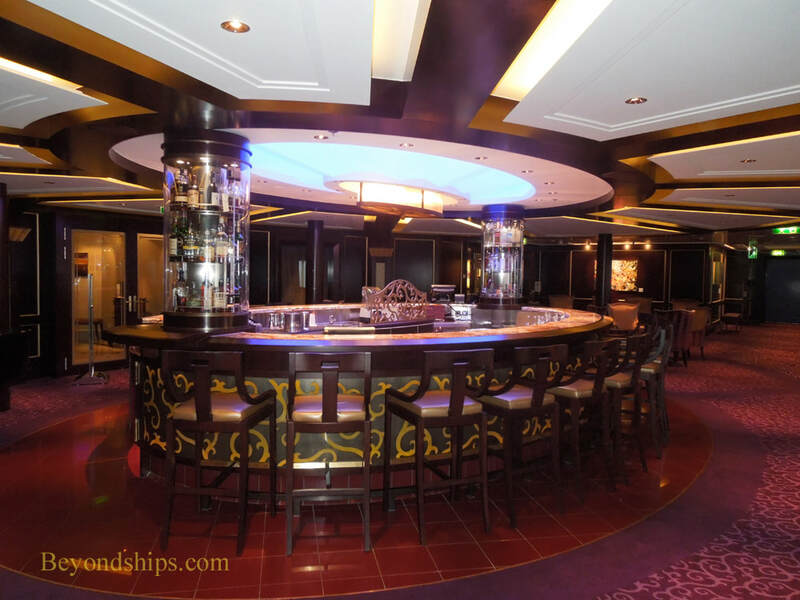 The room is used for receptions, interactive shows, and activities such as the nightly gathering of certain levels of the line's loyalty program, the Captain's Club. 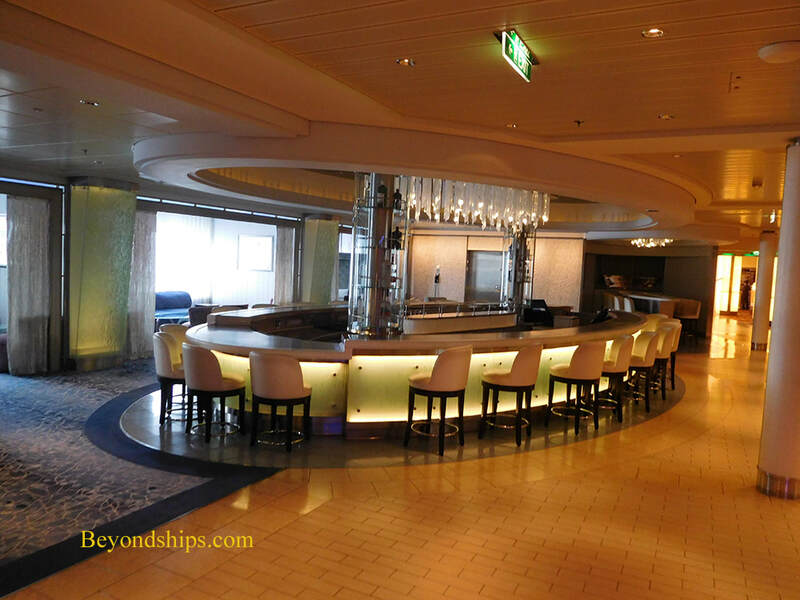 The Sky Lounge on Reflection differs from those on earlier Solstice class ships in that it only extends half the width of the ship. 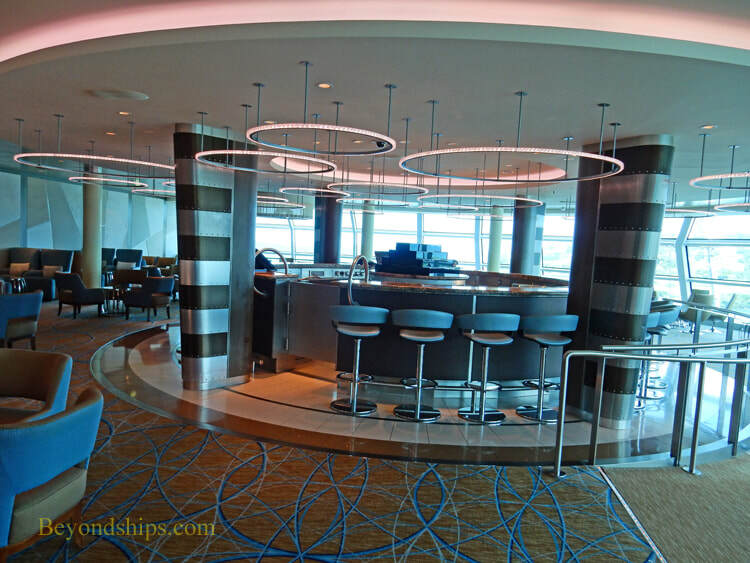 The reminder of the area occupied by the Sky lounge on the other ships is occupied by suites on Reflection. Martini Bar (above) is always a lively venue with bartenders performing acrobatics as the prepare your cocktails. 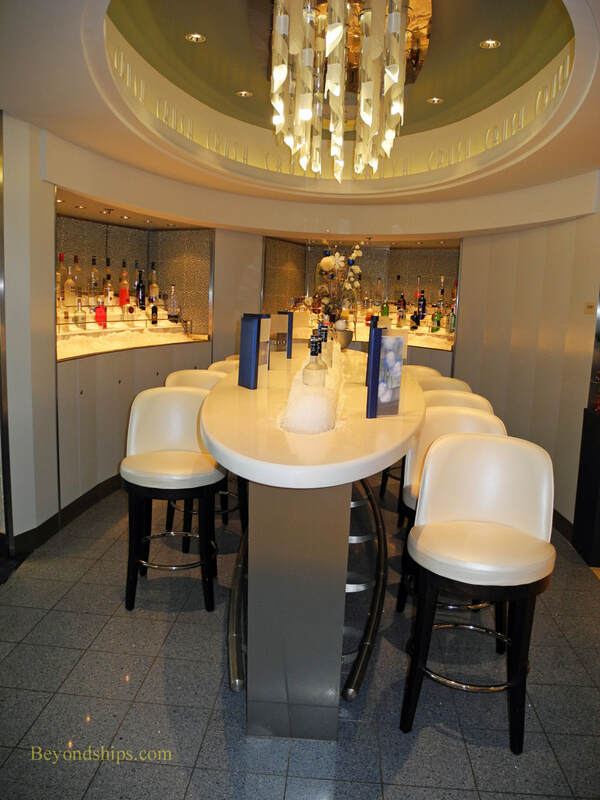 Adjoining the Martini Bar is Crush (right), which features bottles of vodka buried in the ice that forms the center of the bar. 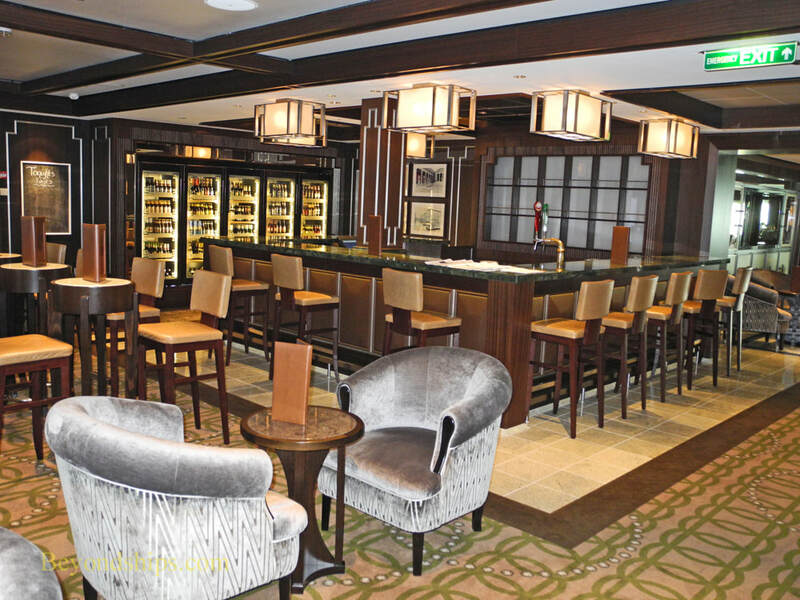 The Ensemble Lounge (right and below) is located just outside of the Murano Restaurant and just up the corridor from the Tuscan Grille, Qsine and Blu. 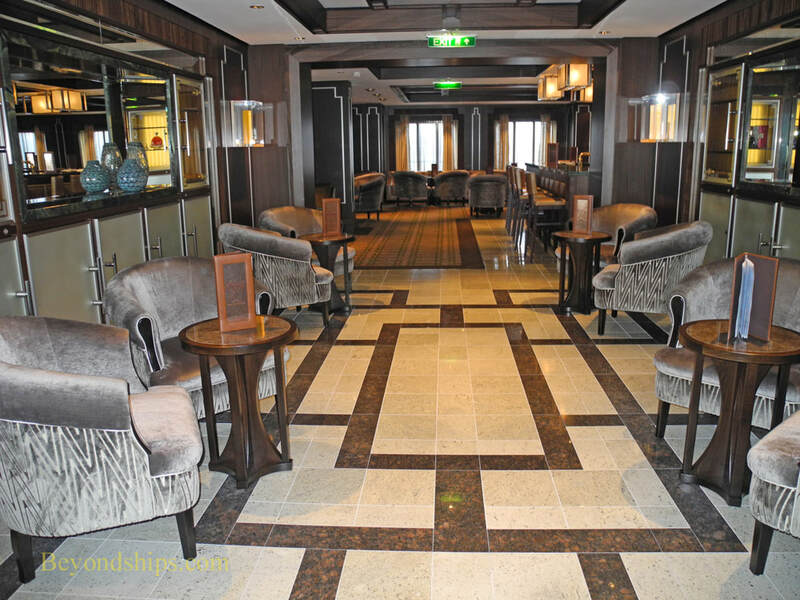 As such, it is a convenient and elegant spot for before and after dinner drinks. 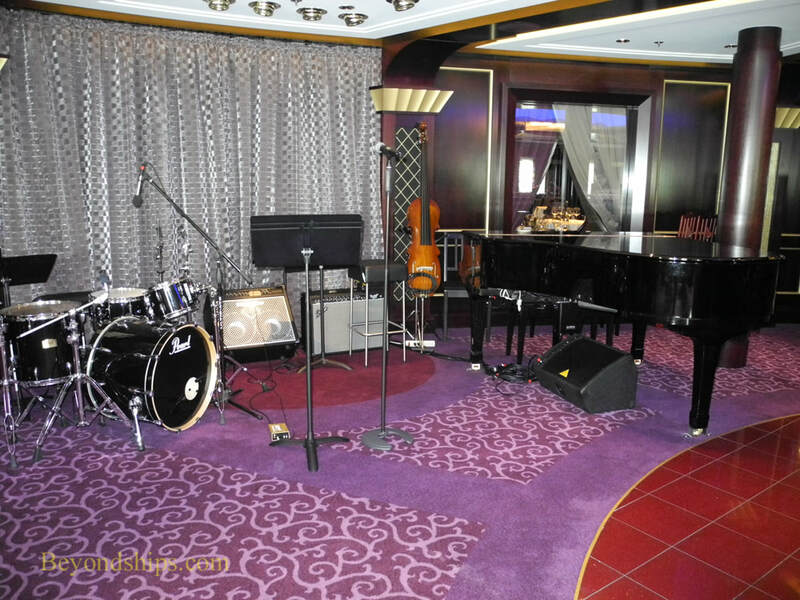 The room also has live music. During the day,it is used for activities such as trivia contests. Cellar Masters is Reflection's wine bar. While there are sommeliers in attendance, there is no traditional bar. 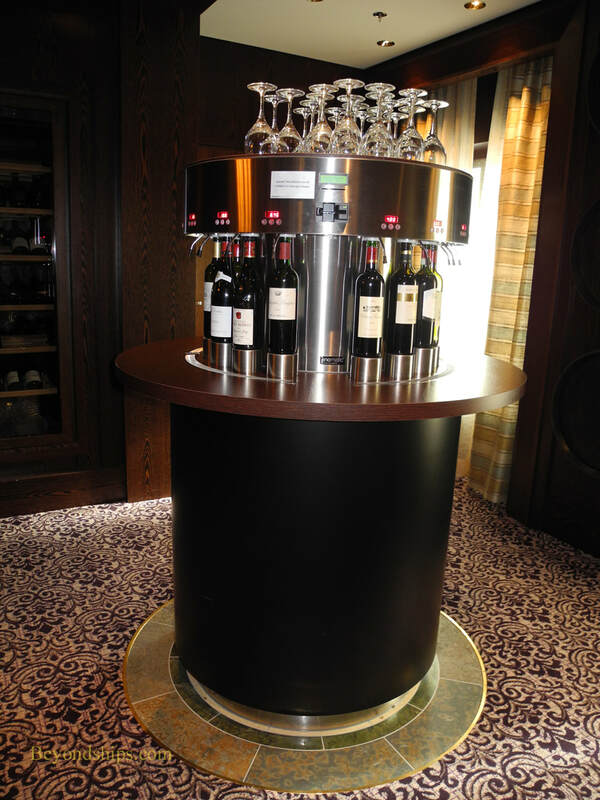 One either places an order with one of the sommeliers or uses the enomatic machines that dispense glasses of wine. The guest inserts a card into the machine and the machine pours a glass of wine from the bottle of the guest's choosing. 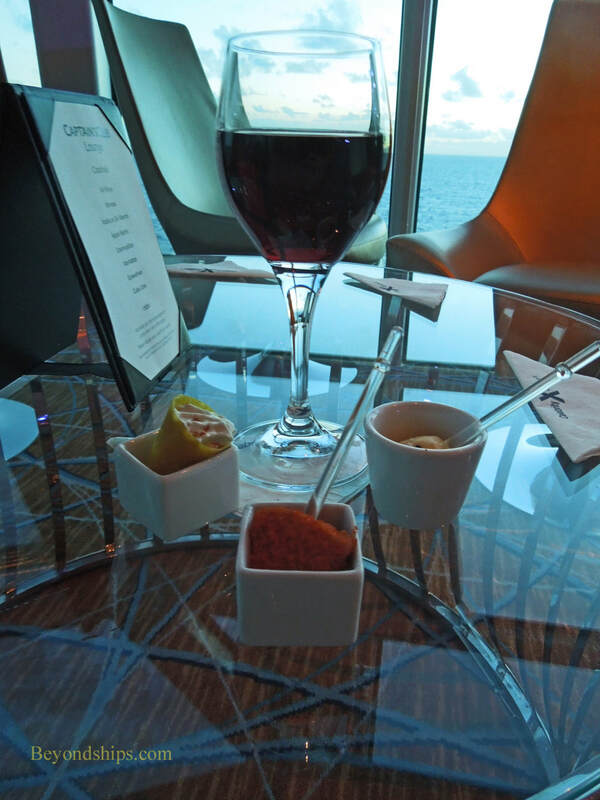 This allows guests to sample a variety of wines without purchasing an entire bottle. 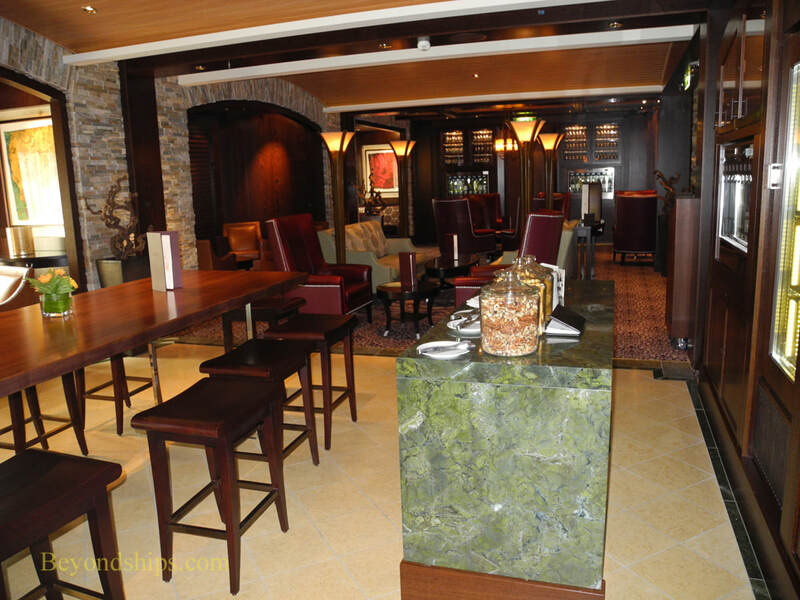 The World Class Bar (formerly the Molecular Bar) is located by the shops along the Boulevard. 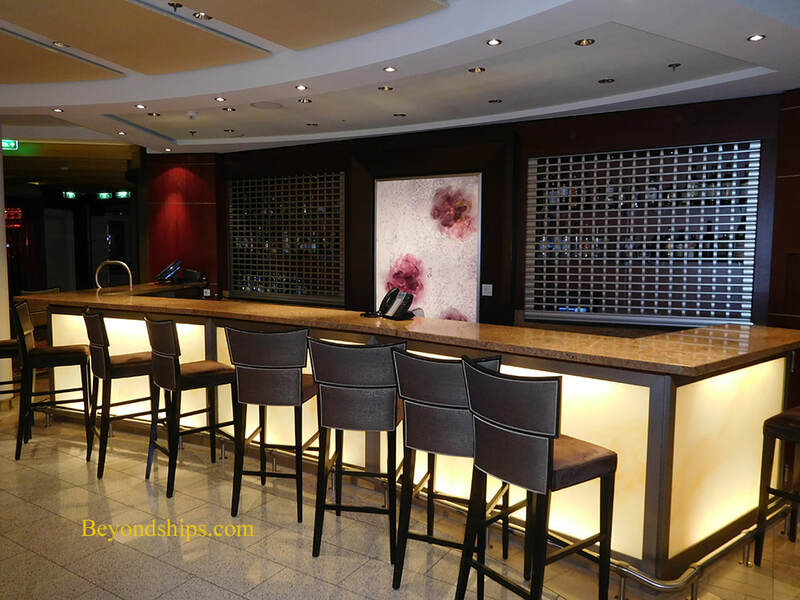 It is used for mixology classes and tastings. 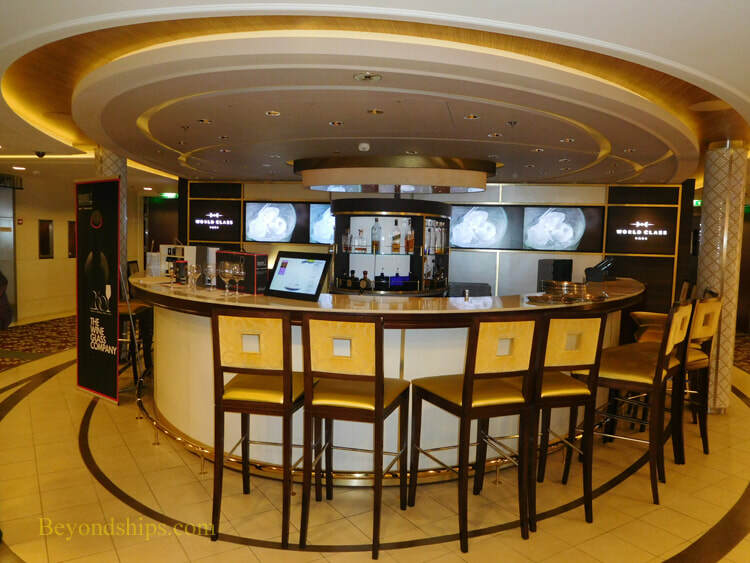 The Celebrity Central Bar is located at the aft end of the forward atrium it provides a watering hole for the various entertainment venues located nearby. ​Michael's Club acts as a concierge lounge for guests in certain suites and for the top levels of Celebrity's loyalty program. 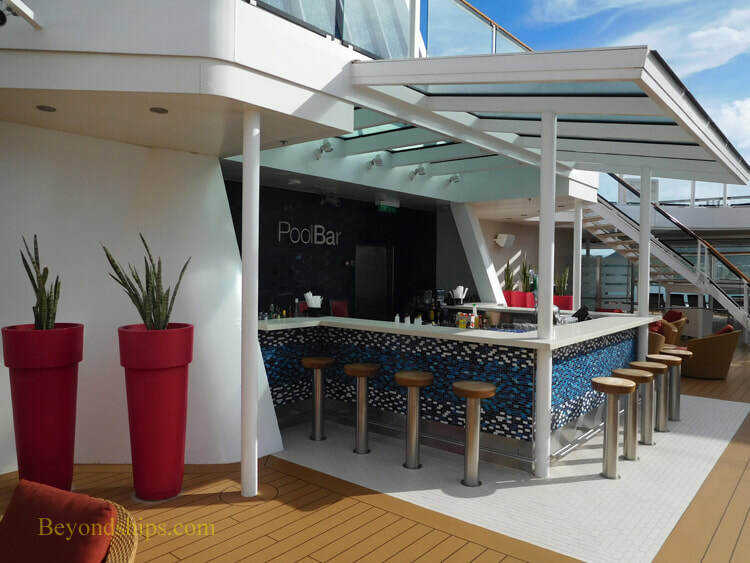 Reflection also has outdoor bars. The Sunset Bar (left). 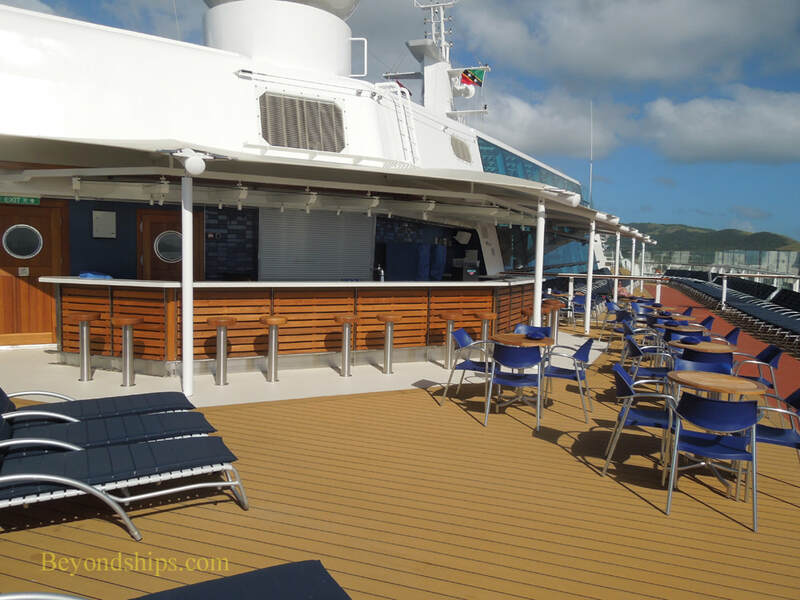 located at the aft end of the superstructure, it serves the Lawn Club area and has impressive views over the ship's stern. 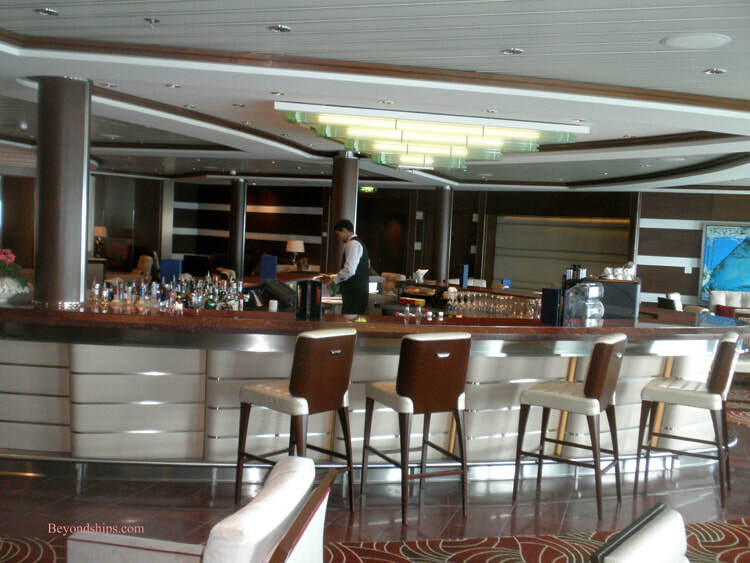 The Mast Bar (below left) is located forward on the starboard side opposite the Mast Grill, which is on the port side. Forward in the main pool area is the Pool Bar (below).